Decorative plate. 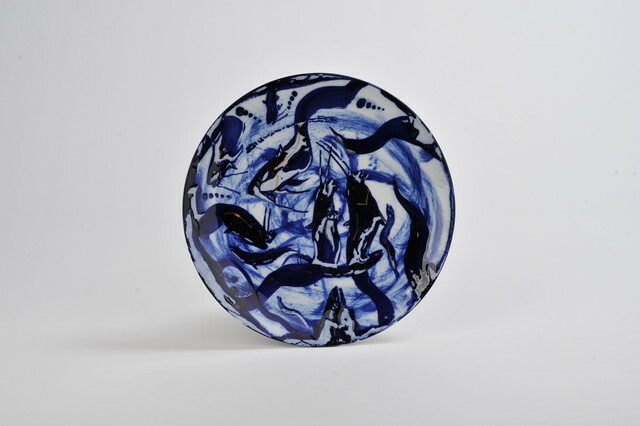 Motif is made by painting with cobalt and gold on porcelain. Only one piece.